Looking for driving lessons in Morphett Vale and surrounding areas? 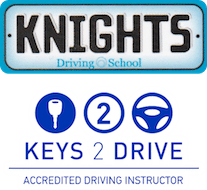 Knights Driving School is not here to just help you learn to drive and get your license. 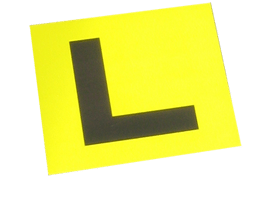 As a former RAA instructor, I have been assisting learner drivers in South Australia for nearly 40 years and with this experience will help you to drive safely. I have a structured, flexible course incorporating IT and using Dual Controlled Automatic or Manual driving school cars. The course is designed to suit the individual and educate in defensive driving. This training package has allowed many clients to drive safely all over the world. Learner driving lessons Manual & Automatic! It is important to build on prior knowledge. First, we check a learner’s steering. A simple skill? No, this is not a natural skill and may need to be taught. Manoeuvre exercises assist learners in knowing ‘about’ their car so these are introduced early to give time to master. Once we have some basics in place, we build the knowledge base of the various traffic situations which need understanding and competency before going solo on our roads. CBTA is competency based training and assessment which is an excellent approach with a structure designed to cover all areas of safe driving. Please leave a message if we are unable to take your call and we will respond as soon as we can! Our current 2017 fees are listed to the right. Please note that waiting times vary from 1 to 4 weeks, so please check when you make contact with us. A fantastic online tool with so many resources to help you while learning! Example online tests and all the information you will ever need! © 2019 Knights Driving School.